Printable pdf calendar for Canada 2020. 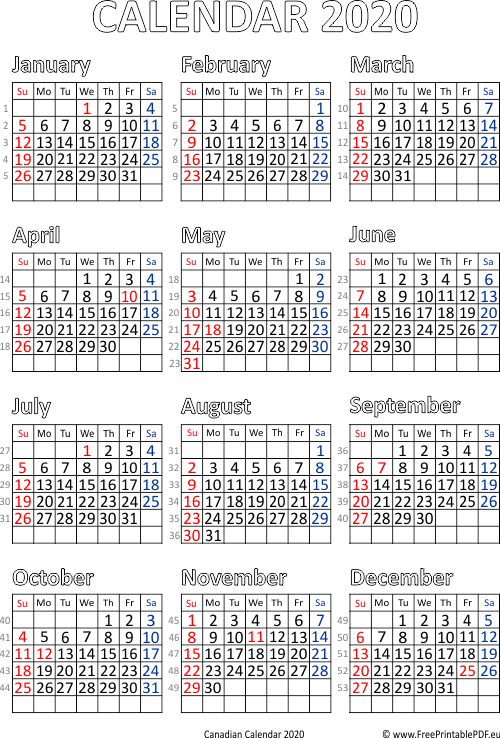 Statutory Holidays and Sundays mark by red color, Saturdays are blue. Numbers of weeks included. Print pdf file and enjoy your Canadian calendar.